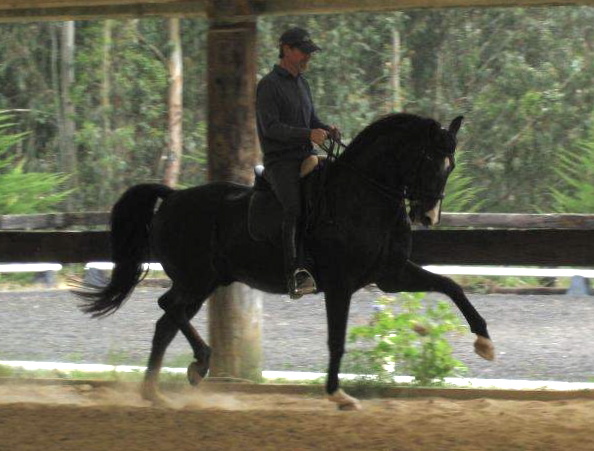 Michael Pineo Dressage has placed quality riding horses with riders wanting to achieve their goals at all levels. Below is a selection of recent sales horses. 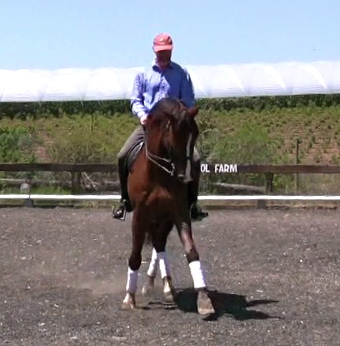 This fantastic riding partner has been purchased by Bob and Debbie McDonald as an international prospect. Best wishes to the pair! 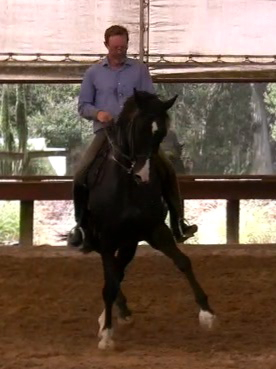 To see her in a higher level schooling session demonstrating her talent for piaffe and passage, check out this video. 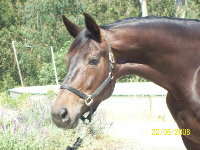 "Bon Vivant" - by Bonifatius (perhaps the best Bellisimo M son) out of a Weltmeyer mare. Super paces with that wonderful Weltmeyer hind end, super sweet disposition. Simply lovely horse. Purchased by young professional and student of Michael Barisone's. 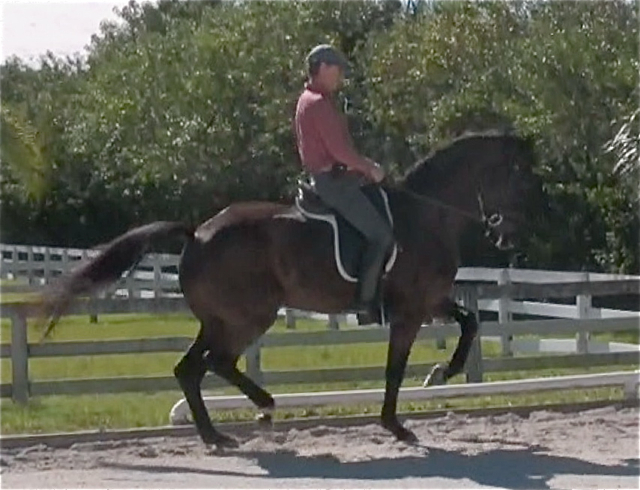 Adonis was a rare opportunity - an affordable horse that would allow a rider to learn anything from basic equitation to lateral work and collection to upper level FEI movements. 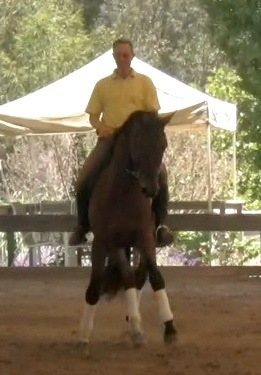 Sold to a dressage trainer / competitor in Pennsylvania. This talented mare is by Don Frederico, well-recognized in Germany as one of today's top young sires and 2006 Dressage Stallion of the Year. Her Banter / Bolero dam line includes 47 licensed stallions, including Brentanos I and II, Buenos Aires, Bismark as well as three decendants that medaled at the 2004 Olympics: Beauvalais (Spain / Ferrar Salat), Bonaparte (Germany / Kemmer), and Brentina (USA / McDonald). 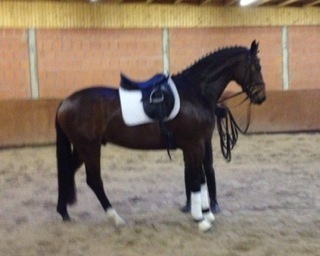 "DIAMO" 16.1hh 2001 Berlin Brandenburg Gelding - 70% 4th level - FEI ready. 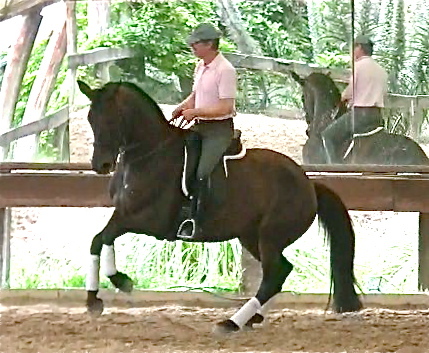 Imported as a youngster from the Hesselhof premium dressage stable in Wahrendorf in November '07, this fancy yet uncomplicated liver chestnut gelding has top Westfalen bloodlines with suspension and rideability to match. 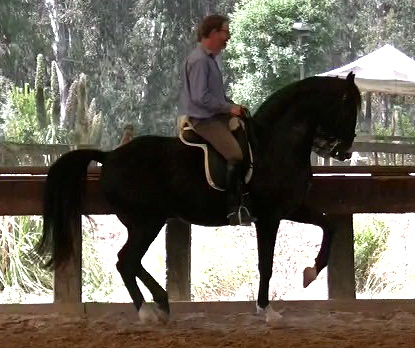 Diamo has 3 good gaits, a lovely disposition, a back that carries and a beautiful eyel He is very kind, well-mannered and eye-catching in the dressage arena, with outstanding cadence and flow to his movements. This very special and talented horse defined the term "flashy." 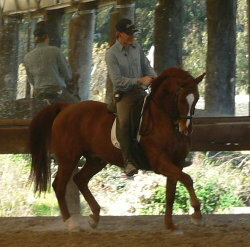 He was purchased by Louise and later sold to a wonderful non-competition home to enjoy his retirement. 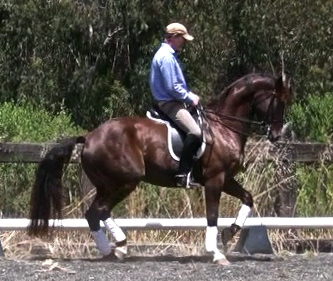 ﻿"FLEUR DU LUNE" 16.2hh 2004 Hanoverian Mare - 1st Level Dressage. 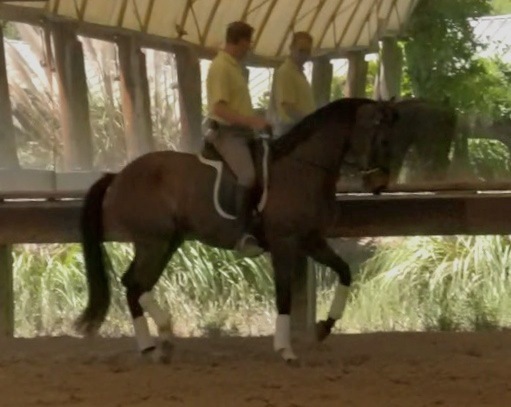 Pretty, feminine and "modern type" black-bay mare by the legendary German stallion, Feiner Stern, Fleur has the perfect disposition and ridability for an amateur. She is sweet, obedient, loves attention, and tries to please without a trace of "alpha mare." 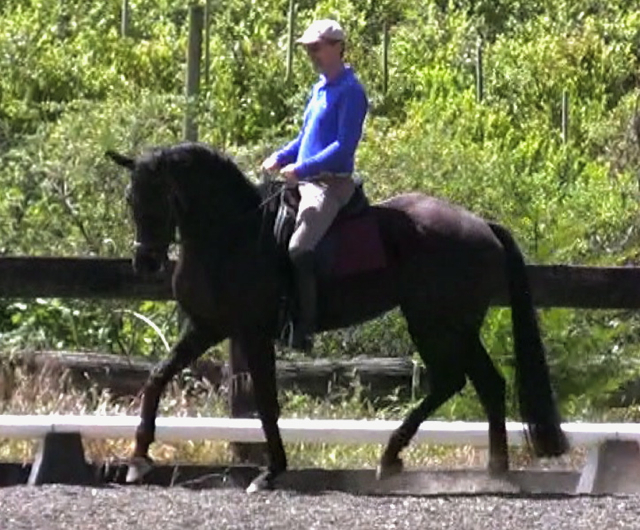 Fleur is uncomplicated, easy to sit, easy to handle, fun to ride and has a fabulous canter. She ties, loads and travels like a pro, and sailed through her first dressage show last November with scores in the mid-60s and the poise of an old hand. Judge's comments: "Lovely horse." "Shows potential." Observers: "What an adorable horse!" 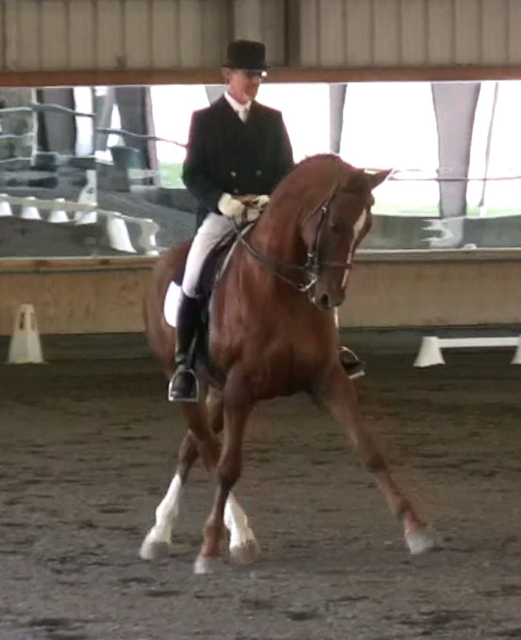 When sold, Fleur was schooling first / second level with easy lateral work and collection. SOLD TO AN ADULT AMATEUR.